While it is possible to climb Mount Sonder throughout the year you probably don’t want to be doing this walk in summer where the temperatures can reach 40°+ celsius and the trail is very exposed to the sun. 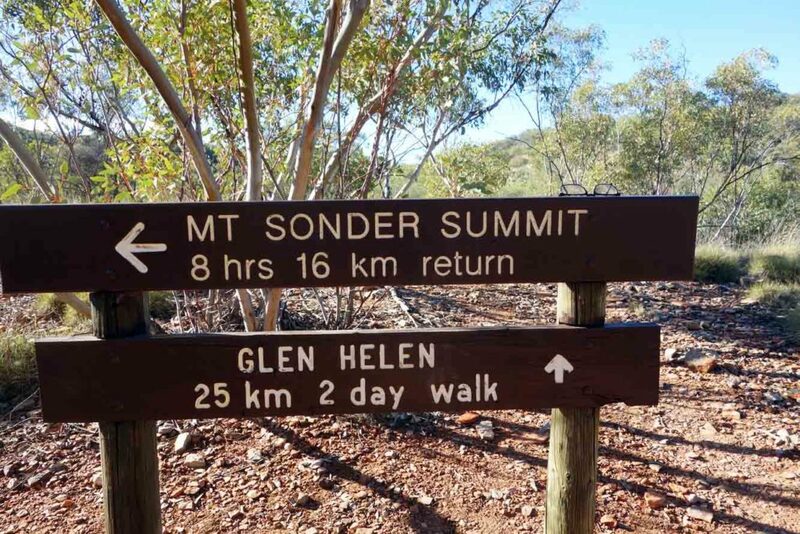 Most people tend to assume that Mount Sonder is the Northern Territory’s highest peak however it only ranks number four after Mount Zeal, Mount Edward, and Mount Giles. What it does have going for it is infrastructure as it forms part the the world famous Larapinta Trail so the car park and trail head are easily accessible by car. 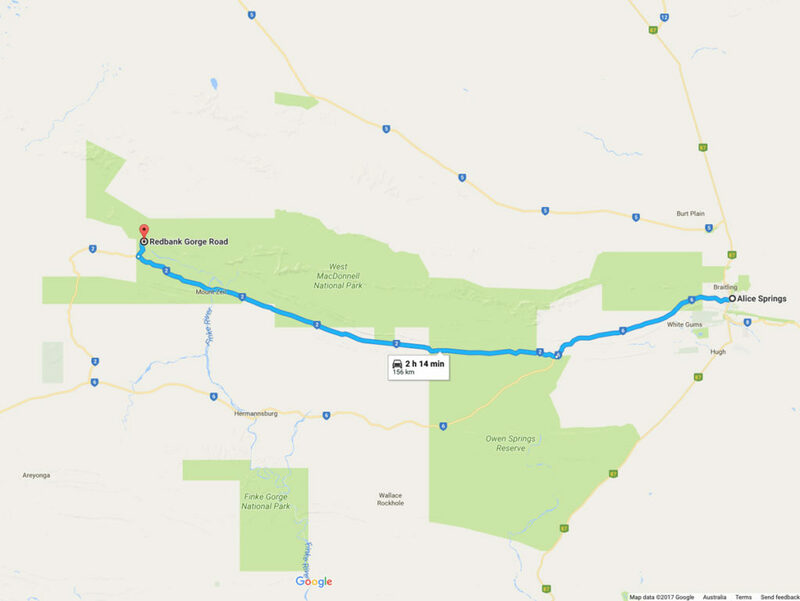 If you are walking the Larapinta Trail then this walk will either be the culmination of your trip if you are travelling from Alice Springs or the start of a great adventure if you are walking back to Alice Springs. 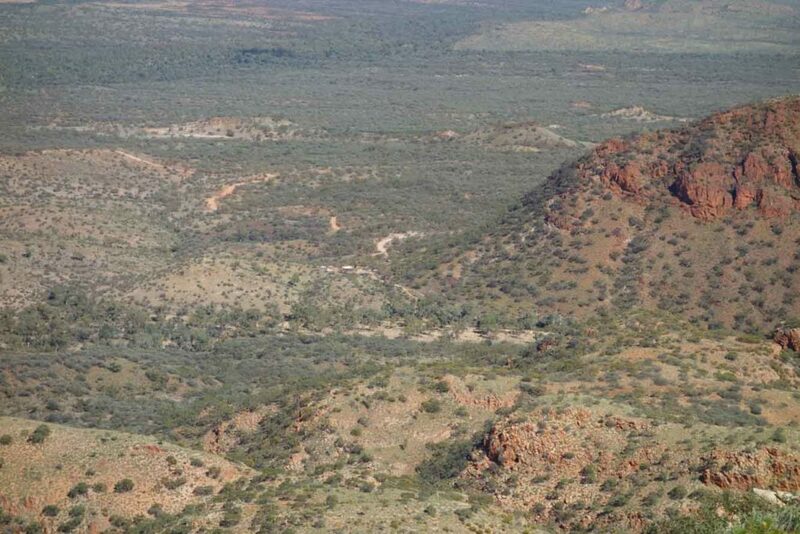 Alternatively you may just doing this walk as you pass through the Northern Territory. 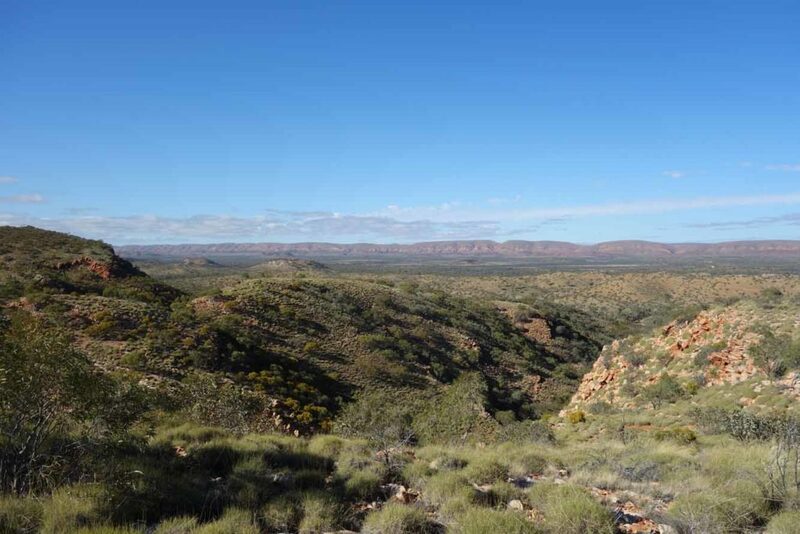 Once you turn off Namatjira Drive you will pass through the camper van car park so keep on driving and you will reach the trail head to walk to either Redbank Gorge or to Mount Sonder. There are basic toilet facilities here along with a picnic shelter and tables if you are just stopping for a break. 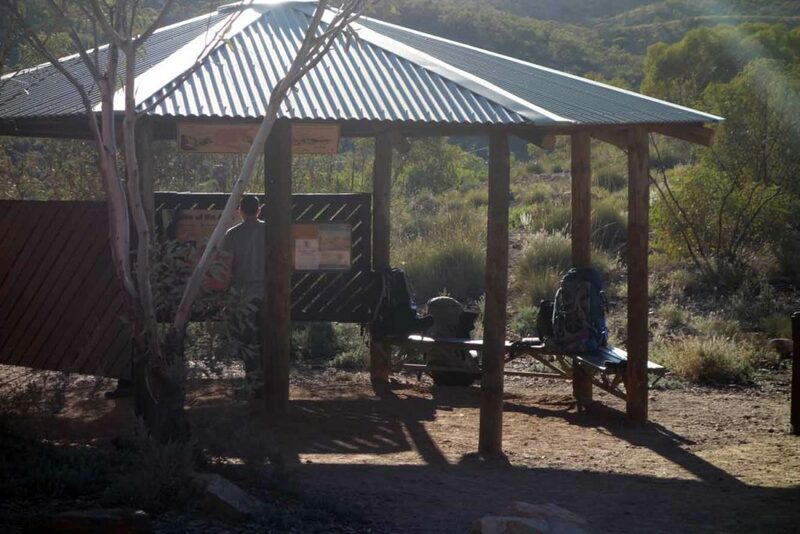 Have a read of the trail head signs before heading of to Mount Sonder by following the blue Larapinta Trail markers. If you need it there is a water tank just after you start your walk at the campsite. 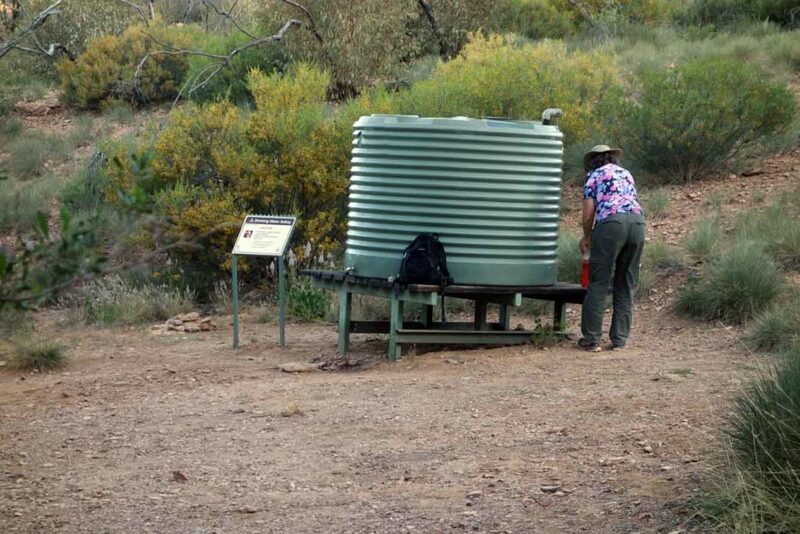 Please make sure that if you use this resource that you turn the tap off properly as this is the water supply for those heading back to Alice Springs via the Larapinta Trail. Be warned that this walk is pretty well up hill for most of the way and once you get past the first section of the trail and the views to the valley below appear, then you are very exposed to both sun and wind. The trail is well marked but like the rest of the Larapinta Trail and apart from a very small section where you cross over the dry river bed the trail consists of red rocky soil (more rocks than soil). 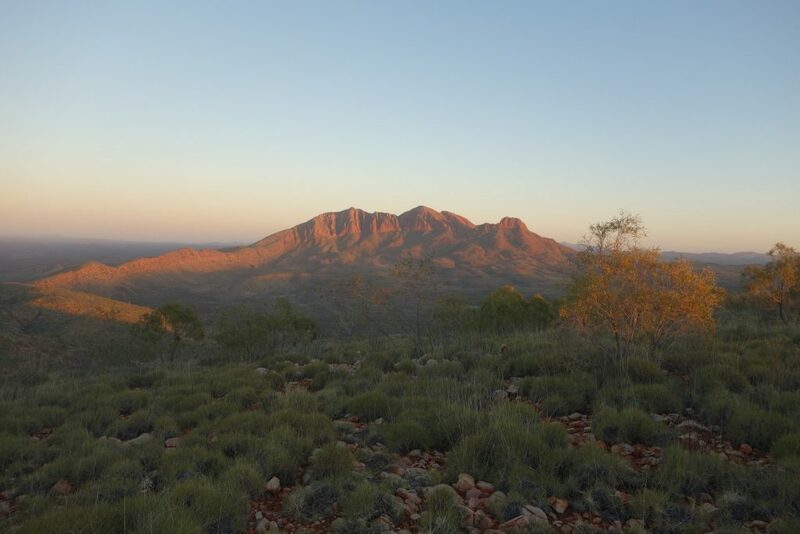 Many walkers who are doing the Larapinta Trail will try to summit Mount Sonder to see the sunrise which, depending on the time of the year, may mean a 3 am start. Be warned here that if you are attempting a night ascent you will need a good headlight and luck with the weather. The day after we summited others who tried to do this had to turn back as the gale force winds and total cloud/fog cover prevented them form reaching their desination. 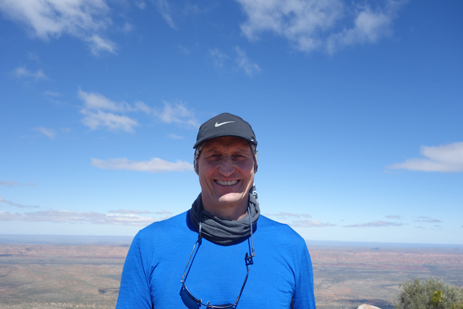 From a personal perspective I did this walk during the daytime and found the morning views to Mount Sonder from Hilltop Lookout (see our website front page) are spectacular and not to be missed (this only helps those who are walking the Larapinta Trail). Once you reach the summit of Mount Sonder take the time to absorb the views to the neighbouring peaks and valleys below and use this as an opportunity to take some great photos. The walk back down is reasonably easy with no excessively steep sections. If you are walking the Larapinta Trail then this is classed as Section 12 of that trip and will take approximately 6-8 hours. 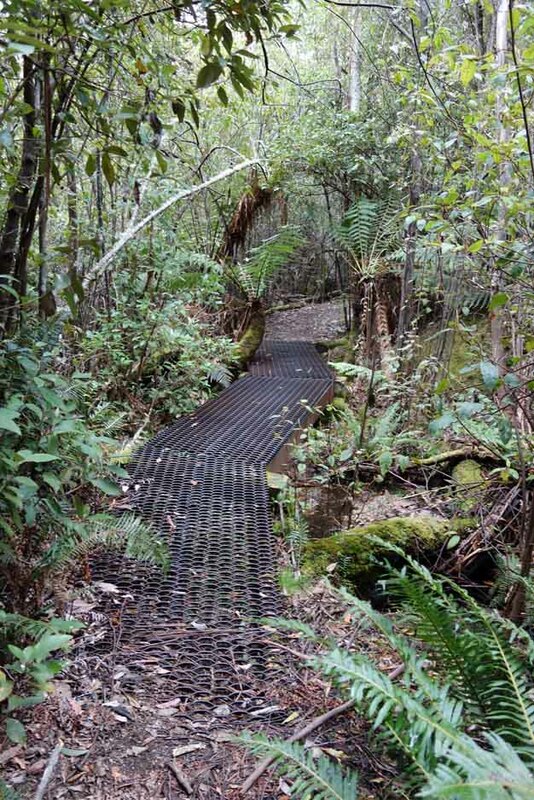 This hike is well worth doing provided the weather conditions are on your side (see review below).